This Brushed Diamond Mens Wedding Ring is simple and elegant breaking from the classic high polish with the rougher finish. (Please note that this is a rendering of the brushed finish, it will be done by hand after casting) Nestled on either side of the ring are two ropes. 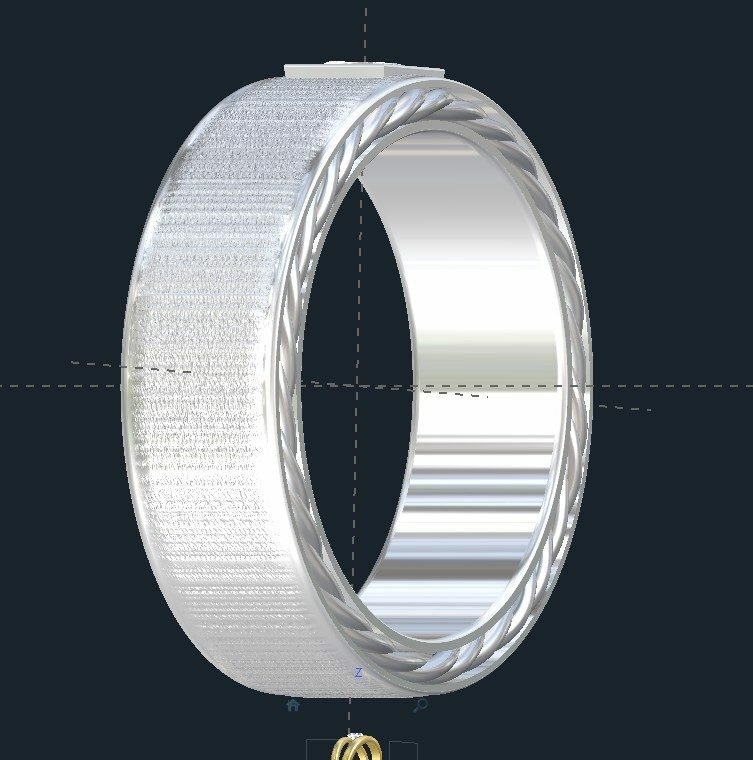 This Brushed Diamond Mens Wedding Ring is 8mm wide, but it could be made 4mm wide up to 12mm wide. It can also be made with other finishes. We can make almost any wedding ring that you can dream up, so send u s your idea if you don’t find what you are looking for. ►DETAILS: Brushed Diamond Mens Wedding Ring. STONE: This can be anything that is cut from 2-5mm. Click HERE to learn more about custom jewelry. 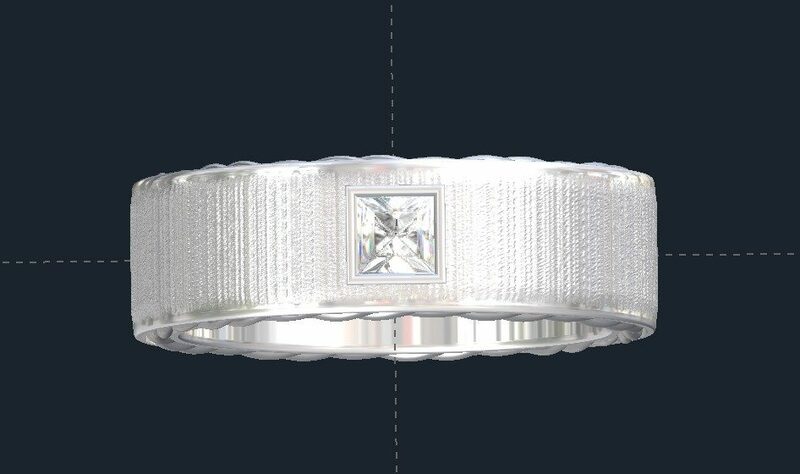 To see another Brushed Diamond Mens Wedding Ring design or to contact us, click HERE.